Enjoy winter fishing with our indoor heated fishing dock! Call 573-873-5340 to reserve your winter getaway! Visit our peaceful, family-friendly home away from home. 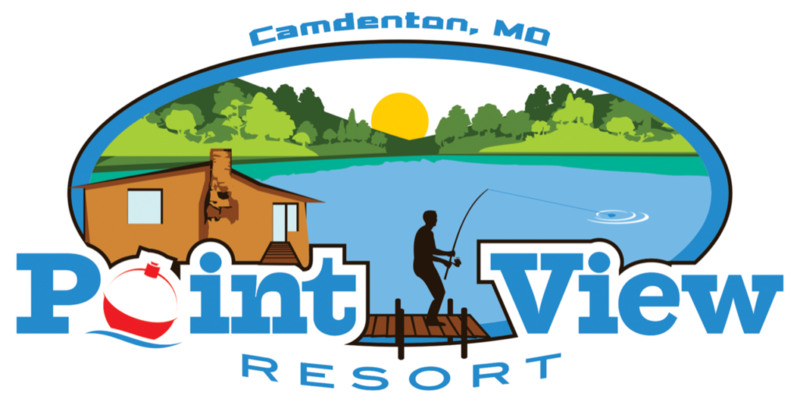 Point View Resort strives to be one of the best family vacation spots on the Lake of the Ozarks. Rustic on the outside, clean and comfortable on the inside. We have cabins available to accommodate groups of all sizes – all located steps from the water. Each cabin is bright, clean, and equipped with all the essential amenities including kitchen essentials and bathroom towels. Full-sized barbecue grills and picnic tables are available for all cabins. If you’re a lover of the great outdoors, an adventure seeker or just looking to re-energize, Point View Resort provides a guest experience that will keep your entire party delighted on and off the resort. oups of all sizes – all located steps from the water. Each cabin is bright, clean, and equipped with all the . Whether you are wanting to make lasting memories with your family, get together with your fishing buddies, or log some time away with a good book, Point View Resort will meet your needs and seek to exceed your expectations. Point View Resort is the perfect place to relax and enjoy the beauty of the Ozarks. We’re nestled in the Little Niangua Arm, north of the main channel, where the waters are calm and the fishing is great. With miles of lakeshore and lots of coves nearby, you can choose to venture out or stay in and enjoy the peacefulness of the resort. Either way, the pristine waters and the gorgeous landscape on our side of the lake can’t be beat. Point View Resort’s classic cabins offer multiple sleeping accommodations all with full kitchens, comfortable living areas, outdoor grills and more! Whether you need lodging for two or twelve, we have cabins available to accommodate groups of all sizes. Each cabin is bright, clean, and equipped with all the essential amenities and comes complete with a full-sized barbecue grill and picnic tables. All cabins have easy access to the lake, so whether you want to go fishing, play in the water, or just relax, it’s all just steps away.